Indiana Pacers MVP Scholarship is open to high school seniors who live in Indiana in the counties of Marion, Boone, Hamilton, Hancock, Hendricks, Johnson, Madison, Morgan or Shelby. The scholarship is based on students' commitment to their communities as a Most Valuable Person. Applicants must have a grade point average of 2.5 or above and may use the scholarship at any accredited college or university. In addition, students applying must demonstrate that they have completed 40 hours of service to their community in the past 12 months. All applicants will be required to submit an essay of 250 words based on the topic of leadership. The MVP scholarship awards students who show leadership in their communities. The essay addresses the question: How important is leadership and teamwork in making your community a better place to live, and in what ways have you demonstrated being an MVP – most valuable person – in your community? The Pacers MVP Scholarship is presented by Herff Jones, manufacturer of class rings, yearbooks, sports jewelry and awards for schools, colleges and sports organizations. 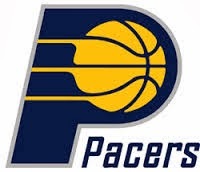 They have been in business since 1920 and are based in Indianapolis, Indiana, home of the Indiana Pacers.